Mitchell Neill recently completed his Bachelor of Engineering program – majoring in Computer and Software Systems. At university, he was high achieving student and very committed to making a difference to others through technology. This was his second trip to Malaysia. At SK Sungai Mas, his team introduced and integrated activities in Scratch. Our trip to Malaysia was fantastic. Before going on this trip, I had previously gone on holidays – I visited bird parks, tall buildings, and temples. 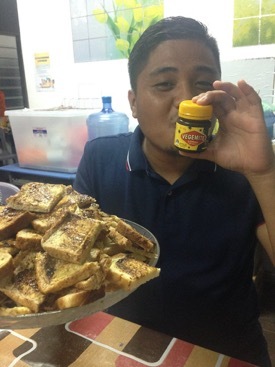 Perhaps there is nothing more special about Malaysia than it’s people…(Maybe the food). 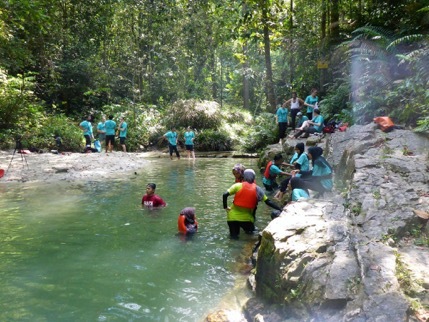 On our trip, we were lucky to have the students from the Universiti Putra Malaysia (UPM), who partnered with us. In the process, they also shared their culture with us. They showed us what it means to be Malaysian, and shared some of the country’s best-kept secrets in Malaysia. We also reciprocated and shared aspects of our culture as well. Even though the primary purpose of the trip to volunteer at a local school, I feel that it is appropriate to mention that without the input and the camaraderie of the students from UPM, the outcomes and the experiences of this outreach project would have been quite different. In a few words – our contemporaries from UPM were simply amazing. We all bonded quickly. Laughs and smiles were in abundance, we were so lucky to interact with some the most fun-loving people I’ve ever met. That’s not to say the students we got to teach weren’t fun loving, nothing could be further from the truth. I was amazed by the huge difference in teaching approaches used between the Australian and the school we visited in Malaysia, Sekolah Kebangsaan Sungai Mas (SKSM). One fundamental difference that struck me was the flexibility of the curriculum at SKSM. I remember attending “sports carnivals” during my schooling days in Australia. It was not so long ago. The event was more of a rigid contest than a carnival. The competition centred around finding who could run 100m the fastest in time? Who could jump the highest? Who could jump the furthest? While I enjoyed these events, the atmosphere was incomparable to the sporting event we attended at SKSM. 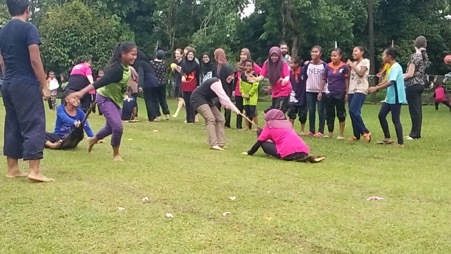 Rather than having rigid contests, students completed by playing games. The rules were flexible enough to accommodate more than 30 university students in heavy rain. We never got a chance to find out which one of use could jump the highest, but we did have a lot of fun, and I made memories I’ll never forget. Oh, and did I mention that everyone was a winner? Yup. No ribbons were awarded, but everyone received items (such as baskets and water bottles) that they could take home. I think this style of teaching really helped us get closer to the students. Their happy faces always spoke a thousand words. Within the school classroom itself, my team taught programming through Scratch 2.0 and playing games. There was only one computer class in the school. Regrettably, all the computers were broken, and this had been the case for quite some time. While there was no lack of student interest in developing computer programming skills, it was evident that there was a need for more strategic methods to teach these skills without relying on constant access to computers. 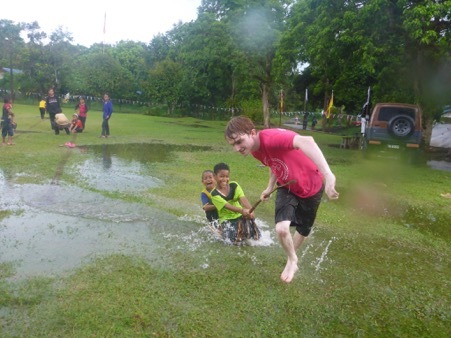 We did a number of activities with the students (both with and without computers). The activity that I liked the most was called “program your teacher”. I liked it because it felt far more like a game than learning to program and required no access to computers. While not strictly necessary for the activity, we started by playing Simon says. This really turned out fantastic as not only did it give us teachers a way to quieten the students when they became too loud (Students began to reflexively respond to “Simon says hands on heads”), but it also served as an excellent ice breaking activity. From there we used a set of scratch blocks we had printed and laminated, to allow students to write commands like “move forward”, “jump” or “turn left”. This allowed the students to write out a set of commands to get their teacher or fellow students to complete the challenges while representing their instructions (just like you would in the scratch programming languag)e. This became a lot of fun, as students would often mistakenly command each other into obstacles rather than around them, and collisions with others became inevitable. It was clear when we started programming that this helped students more quickly grasp the concept of programming. I, along with everyone else had such an amazing time. If I could change one thing about the trip it would be to make the trip longer so that we could spend more time teaching at the school, and also more time sleeping. Jumpa lagi! !